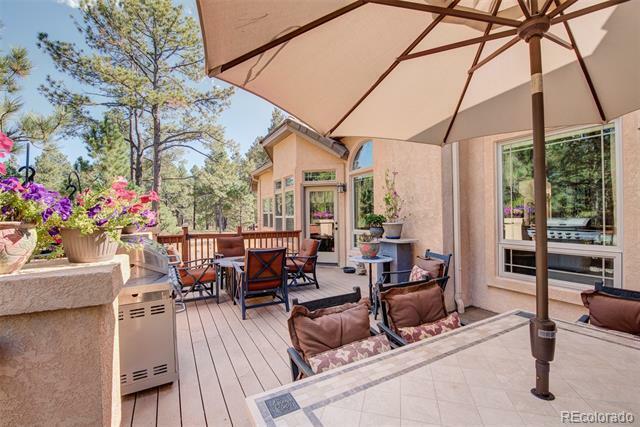 Paradise in the pines! 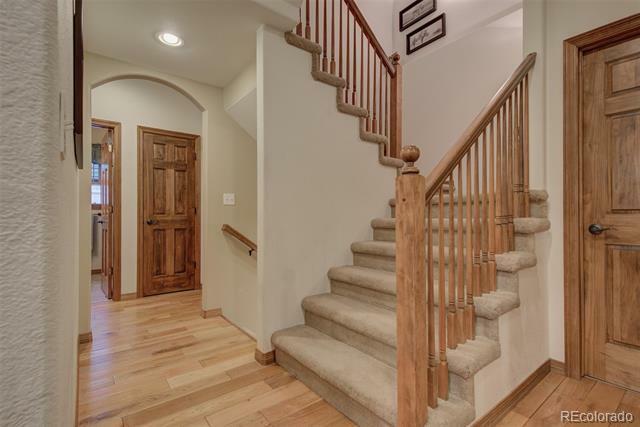 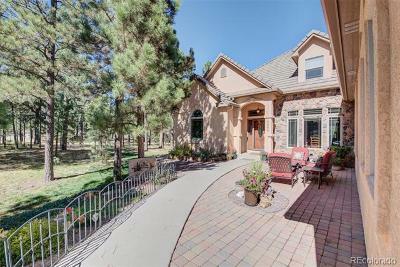 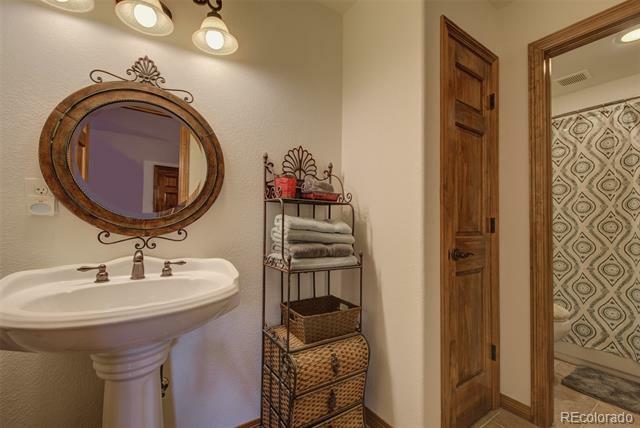 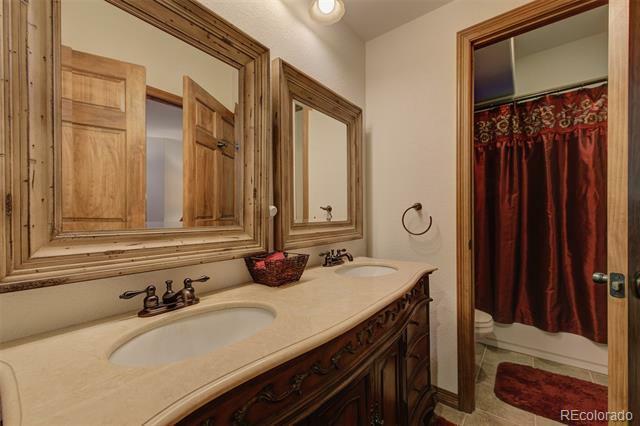 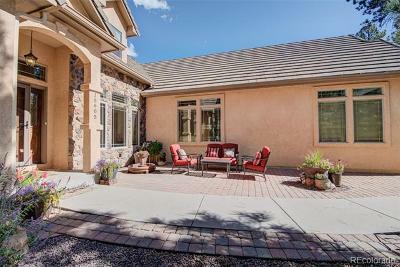 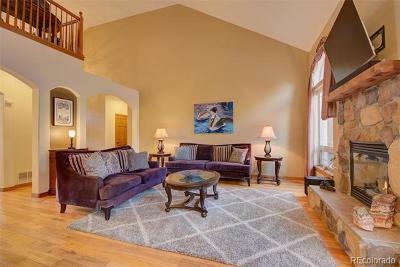 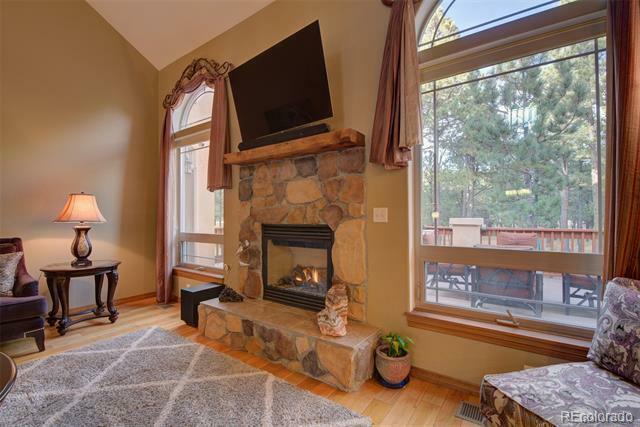 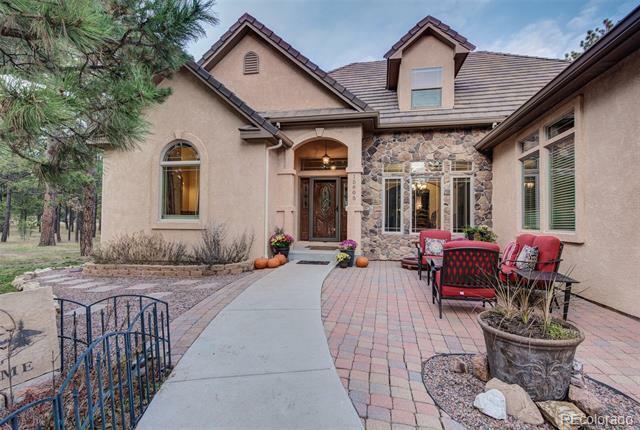 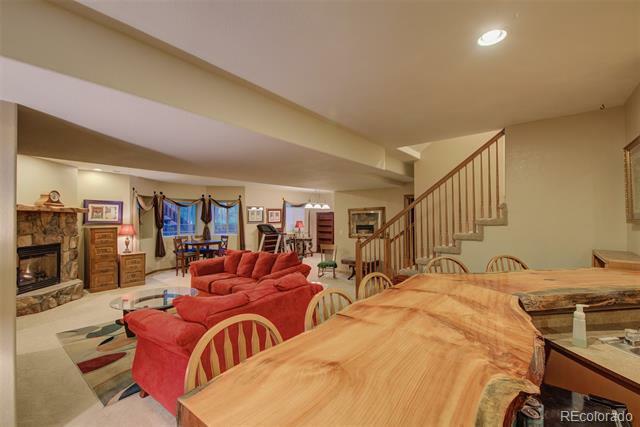 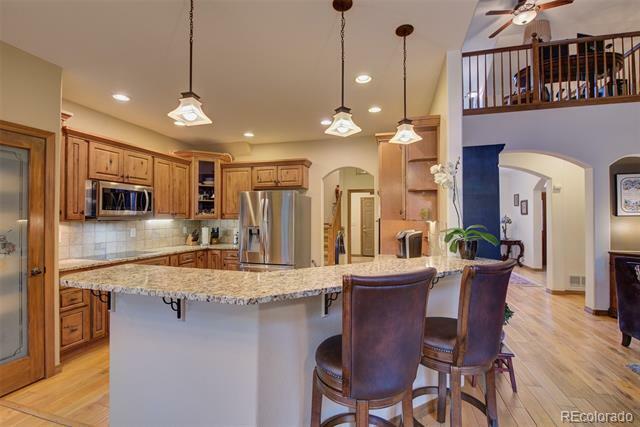 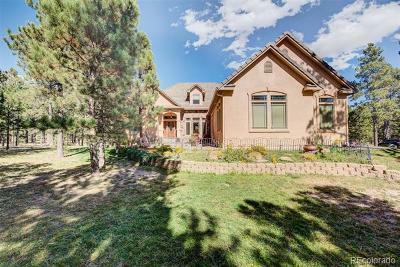 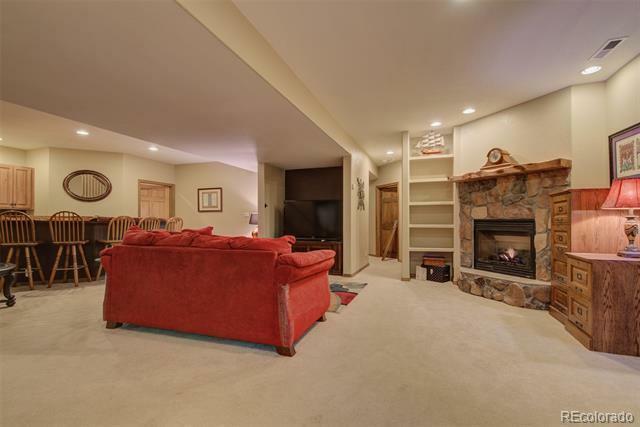 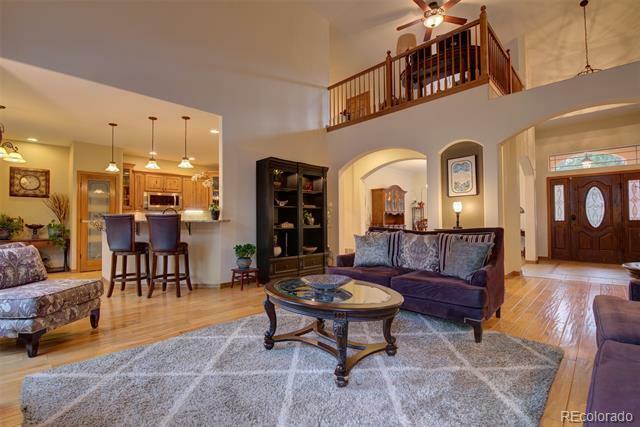 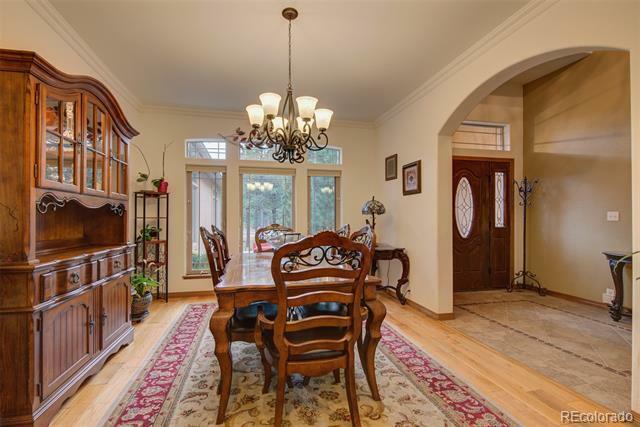 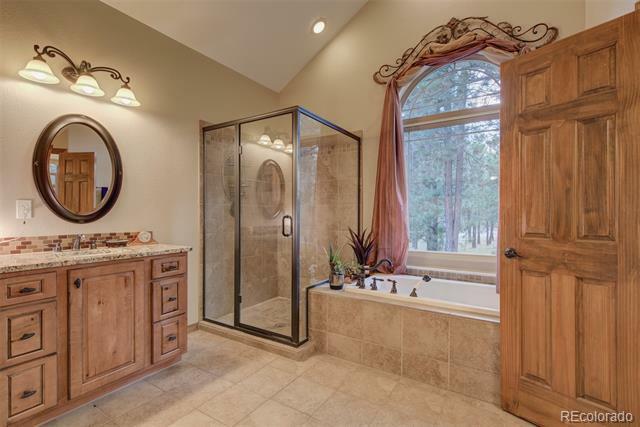 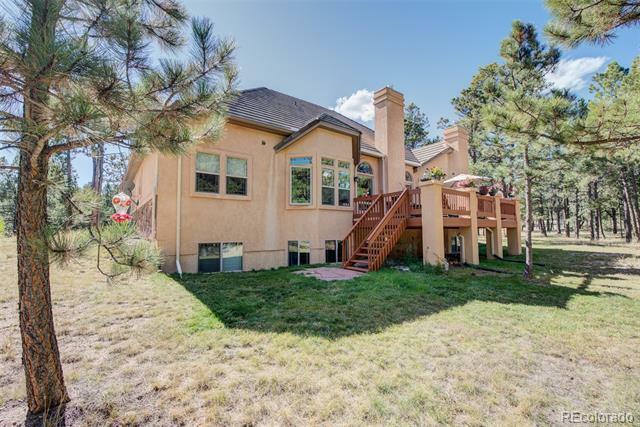 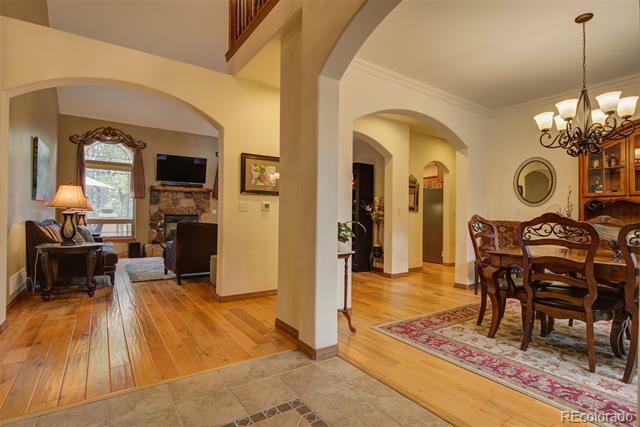 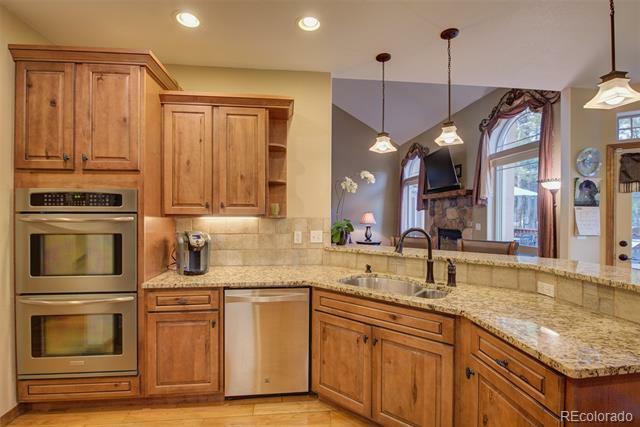 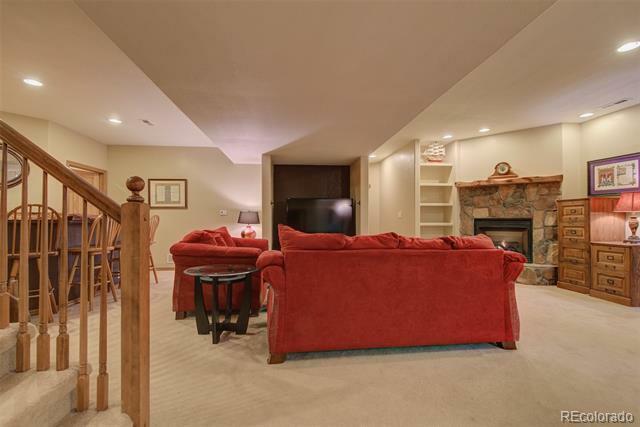 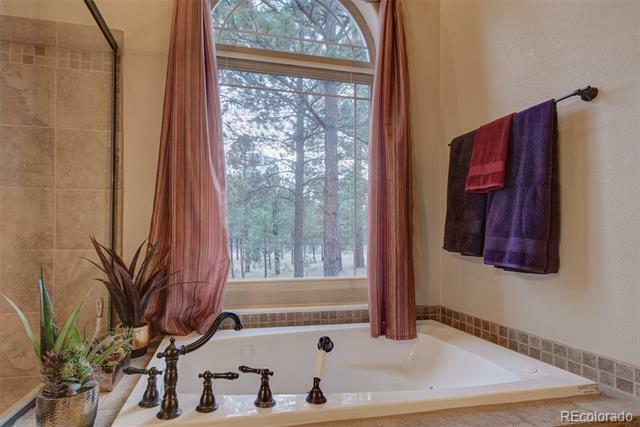 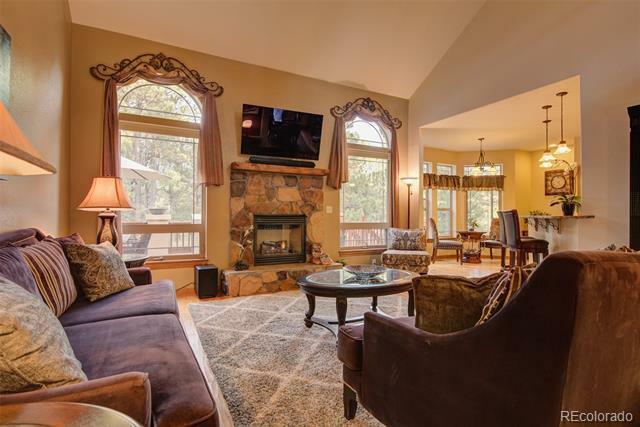 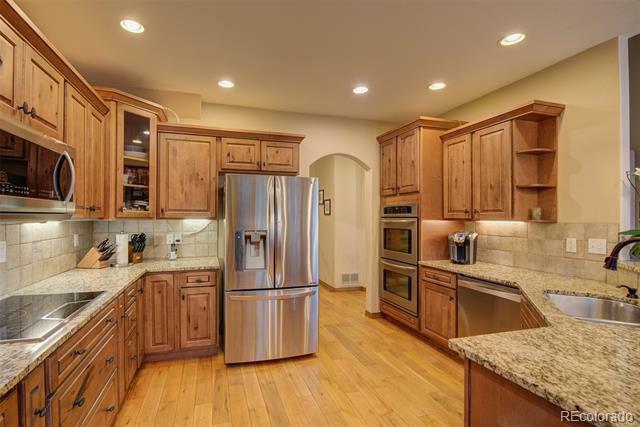 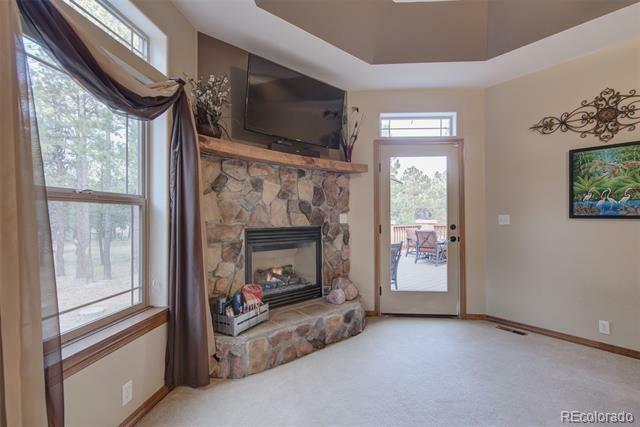 This elegant rancher features a luxurious loft with full bathroom, a finished basement with extensive wet bar, beautiful oak floors, three fireplaces, all on 2.59 private acres in an exclusive gated community. 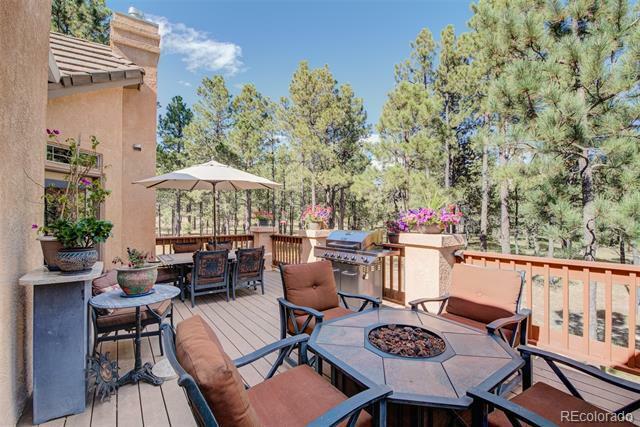 The front patio warmly greets you as you enter the property. Formal dining to the right and the open living room with gas fireplace straight ahead. 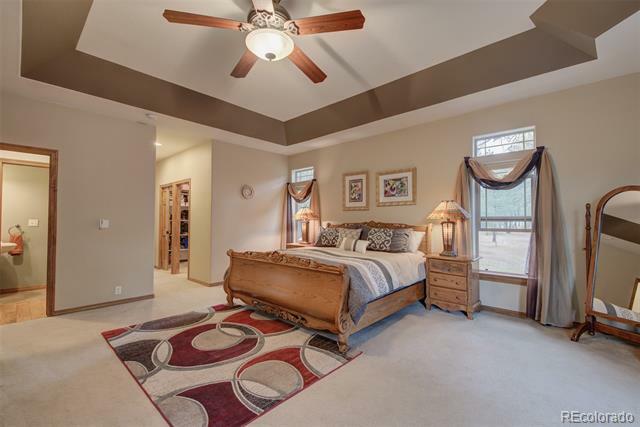 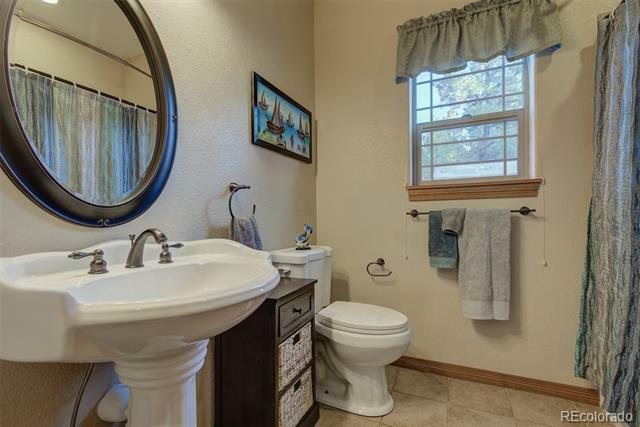 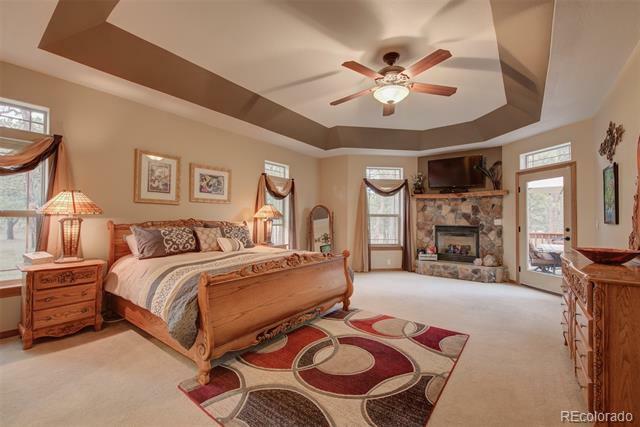 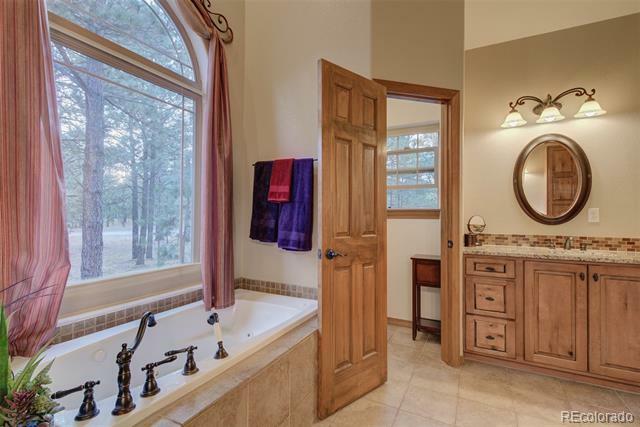 To the left, the large Master suite walks out to the beautiful deck, complete with jetted tub, his and her vanities, and a large walk-in closet. 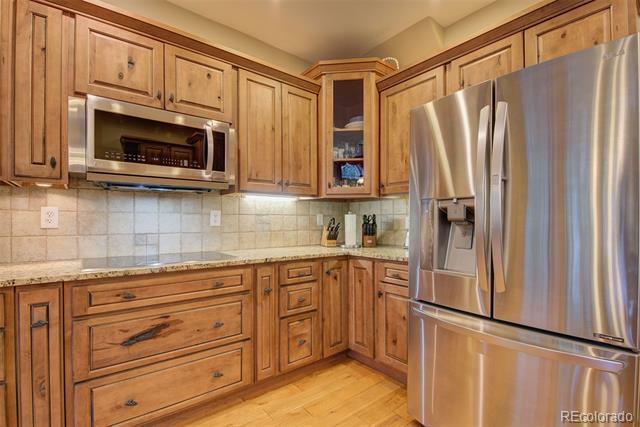 Gorgeous central kitchen with elevated breakfast bar, granite, stainless steel, double ovens, gourmet Thermador cooktop, and pantry. 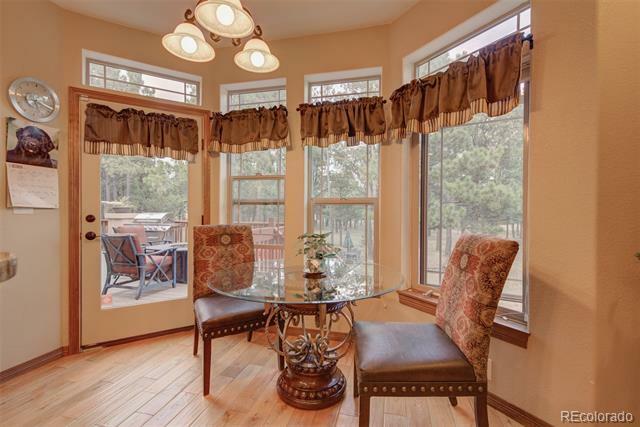 Additional dining area/ morning sun warmed breakfast nook that walks out to the back deck. 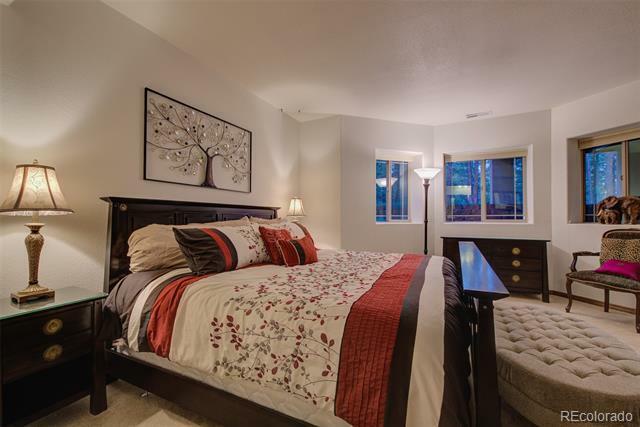 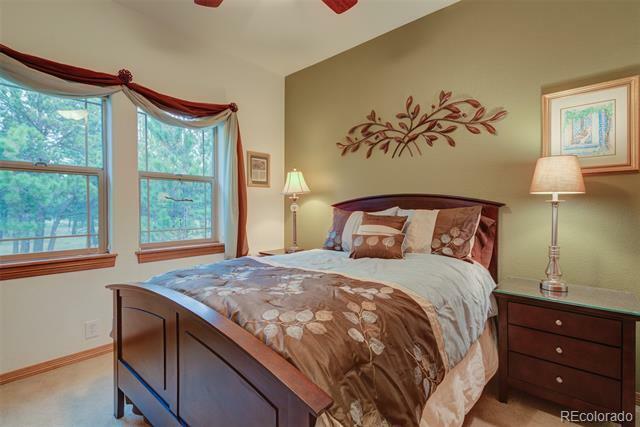 Two additional spacious bedrooms and full bathroom down the hall. 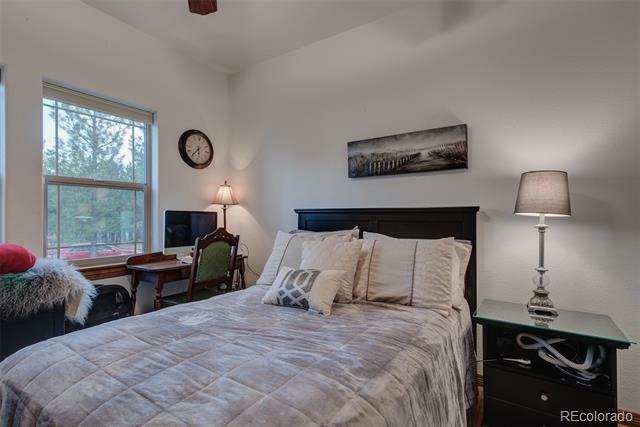 Upstairs is the large loft complete with full bathroom- perfect for an office or additional non-conforming bedroom. Concrete tile roof. 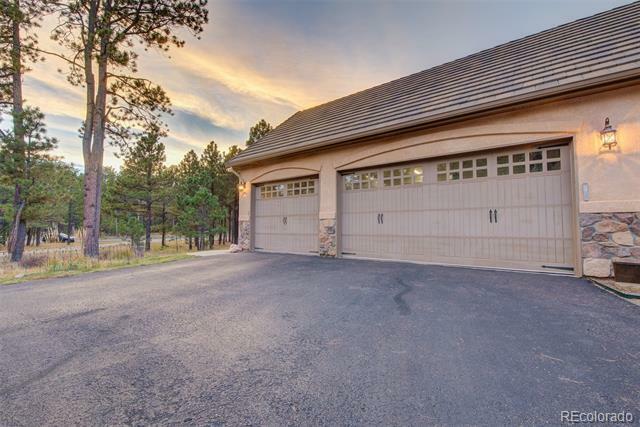 Community also services District 20.